***This Swap has capped at 25 Swappers as of 12/12. ***Welcome to the Winter Wonders ATC Swap! 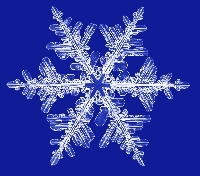 The January ATC will feature snowflakes! What Winter lover does not think of snowflakes in January? Your ATC should show your choice of a snowflake (or more than one) and the word Snow or Snowflake should appear on the front as well. The rest is up to you for background and design. Please put your username, date and swap title on the back, slip the ATC into a clear sleeve and off it goes to your partner. On the envelope also write the title of the swap and your username for ease of rating. Send on time. Add extras if you’d like but not required. Rate quickly and a 5 if all directions filled. A heart is up to you! This swap will cap at 25 participants. Let’s decorate this Winter in style with Interesting snowflake ATCs. @Ramya when you say to put it in a plastic sleeve is that what we mail it in or do we put the plastic sleeve inside a regular paper envelope? @PrettyAlice - I'm not the Coordinator but I strongly suspect the sleeve is to protect it in the envelope. I always put my ATCs in a protective card sleeve before putting it in the envelope. Where does one find the plastic sleeves? Plastic sleeves for baseball cards are the size you need.i have bought them at Walmart for cheap. They are usually near the checkout. They should be able to show you the display. You can also get them at any comic book, sports card or similar store. But they are usually a bit more expensive. I’m sorry I have a sick pet. I didn’t see the comments above. Any plastic sleeve is fine- I make mine from greeting card sleeves or cut out sleeves from baseball card (9 card) sheets. Please message me with all questions or clarifications. Thanks! Hi! I often recycle my sleeves since the ones I receive I move into an album to keep them in. And I love modifying plastic (or for some swaps paper).